I have never been in Artesa winery, but I was told by a trusted friend that it is one of the most beautiful wine estates in California, combined with a modern technology. If you visit their tasting room, please let me know how you liked it. 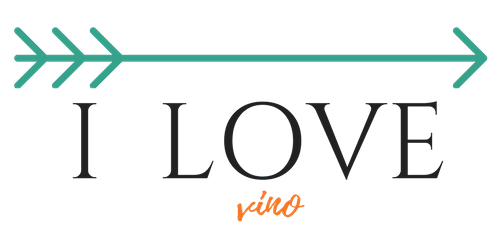 The large portfolio of their wines are definitely worth to check out. Imagine to combine a most typical grape varietals of the three major Old world’s wine regions – Bordeaux, Rhône and Rioja and put them in one bottle. That’s Elements. A very unique blend, isn’t it? I am not sure, but it might be the only blend of such a grape combination on the market. Artesa’s winemaker, Mark experienced with all these varietals while working at Duckhorn Vineyards. When Duckhorn expended their wine production beyond Bordeaux grape varietals, Mark was leading their new wine project to launch Paraduxx, (an unique blend of Zinfandel and Cabernet Sauvignon). Paraduxx became an instant hit and was later followed by Goldeneye, the winery’s Burgundy style wines from Anderson Valley. The San Francisco Chronicle named Mark Winemaker of the Year for his work at Duckhorn Vineyards. The grapes for Elements were sourced from Artesa’s Alexander Valley mountain-side vineyard, Carneros estate Tempranillo and a Carneros Syrah and Tempranillo vineyard. This cool climate area produces wine with spice and leather characteristics. The Alexander Valley vineyard is a warmer region that participated with an aromatic and expressive fruit. Each lot was hand harvested, de-stemmed and gently split open. Extended maceration of fruit followed the fermentation in open tanks, to extract a richer a deeper structure of different varietals for the final blend. Most of the varietals were pressed directly to the oak barrels. Malolactic fermentation took a place in French oak barrels (about 30% new oak) and wine then aged for 22 months. Dark ruby color and lovely aroma of blackberry, raspberry and spices on the nose. On the palate it’s a rich, yet velvety red with a layers of different flavors, ripen dark fruit, plums, cinnamon, nutmeg and chocolate. This wine is developing richer and richer flavors as it opens up. Soft tannins are promising a good aging potential. Generously long finish that makes you reach for a second glass. Steaks, lamb, dark meats, artisan cheeses, Beef chorizo, Pistachio crusted rack of lamb, spiced sausages, ribs etc. Grape: 50% Cabernet Sauvignon, 30% Syrah, 20% Merlot. 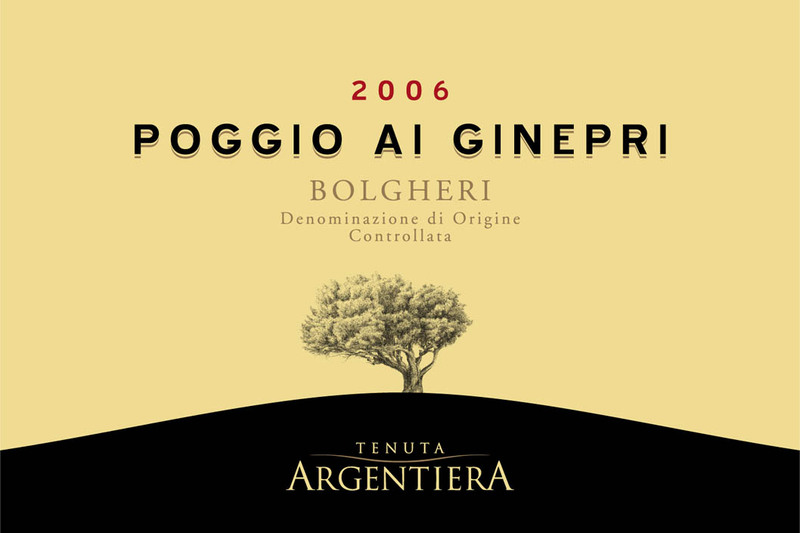 Poggio ai Ginepri means “little hill of junipers” and refers to the juniper bushes around the Argentiera property. The Argentiera estate is part of former Tenuta di Donoratico estate, owned by the Serristori, very influential Florentine family, who were given permanent use of this land by the Medici family back in 1512.The records shows that there were silver mines (“argento” is Italian for silver) in far history on this property, therefore its current owners – brothers Corrado and Marcello Fratini named their Tenuta Argentiera. This estate has a very unique position – it is both closest to the sea and the highest in altitude, stretching from the plains up to the hills. The spectacular view from the vineyards extends from Baratti in the south to Castiglioncello in the north, incl. the islands of the Tuscan archipelago (Elba, Corgona and Capraia, with Corsica in the background). Not only it is well suited for the production of great red wines, it is also considered to be among the most beautiful areas in Italy. After de-stemming and soft crushing the different grape varieties were vinified separately. Fermentation and maceration took place in stainless steel vats for 15-20 days at controlled temperature. Part of the wine was then transferred into French and Hungarian oak barrels, where malolactic fermentation was completed and the wine was aged for 8 months. The other 50% of the wine remained in stainless steel tanks for the fining and was then blended before the final bottling. Deep ruby red color is coating the glass. Lovely earthy aroma so typical for Italian reds, with red plums, herbs and spice. Slight aroma of eucalyptus reminded me of some southern Australian Cabernet wines. Generous tannins are soft and round. I was very impressed with this atypical wine – which didn’t use the typical Tuscan’s variety Sangiovese at all. It is approachable right now, but it will also improve with a few years in the bottle. Stewed meats, game, pork roasts, grilled meat, beef, steaks….